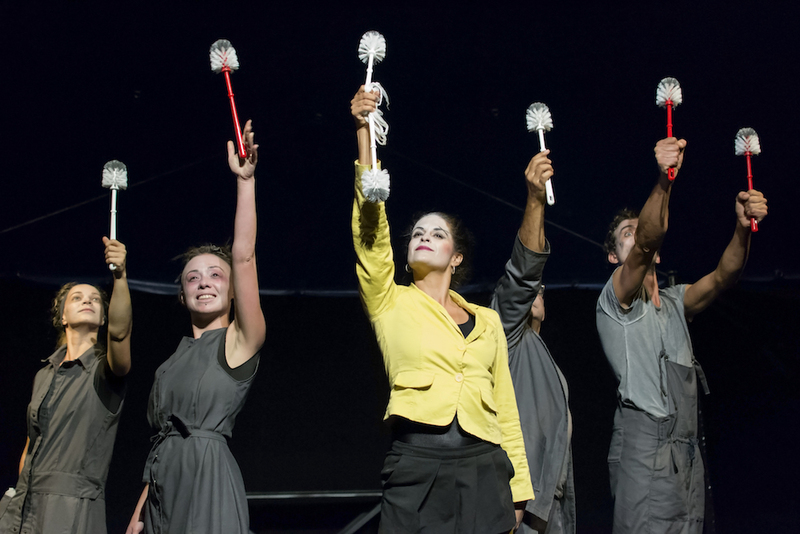 The performance of the modern circus is abot dehumanization of labor, created as a result of cooperation with the Trag Foundation and the National Coalition for Decentralization. The play deals with the right to work and throws light on the position of the workers and the work. Choreography and directing was done by Margareta Taboroši, and the partner in the project was the Novi Sad Theater, center of developing of circus art Ludifico and Kulturanova. The project started in February 2017.